Conflicts between builder Grocon and Victoria’s most prominent construction union continue, with expensive billboard attack-advertisements being erected throughout Melbourne’s freeways. A spokesperson for Grocon described the give billboards as a fragment of a campaign meant to discredit or “distract from the union’s increasingly toxic brand”. The billboards were erected at the Flemington section of CityLink, the Monash Freeway in Richmond and the West Gate Freeway in Port Melbourne.The ads are estimated to have cost approximately $20,000 monthly. As such, the ad is expected to remain in place until the end of the month. The Construction Forestry Mining and Energy Union has also taken to running ads amidst the dispute with Grocon. The dispute was reportedly started following a disagreement over who was to appoint shop stewards and the right to display union paraphernalia at work sites.Police clashed with protesters at a Grocon Lonsdale Street Emporium site, when a picketline was formed last August. Grocon claimed in court that the picket line was a tool to intimidate its employees. Bill Oliver, state secretary of the union’s building division, claims to have remaining concerns regarding the safety of workers on Grocon’s sites. 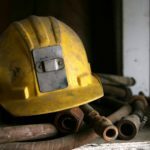 “Until workers are able to have proper safety representatives rather than employer-appointed stewards, the union will continue to have concerns,” he said.